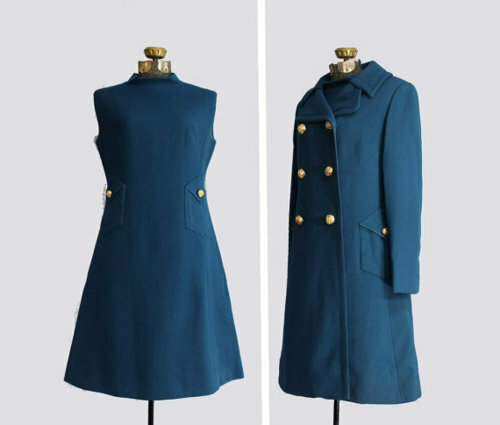 Sometimes matching is tacky but these vintage dresses with matching coats are the epitome of effortless style. Here are six favorites we found on etsy this week. Click on each image below to see the individual listing. 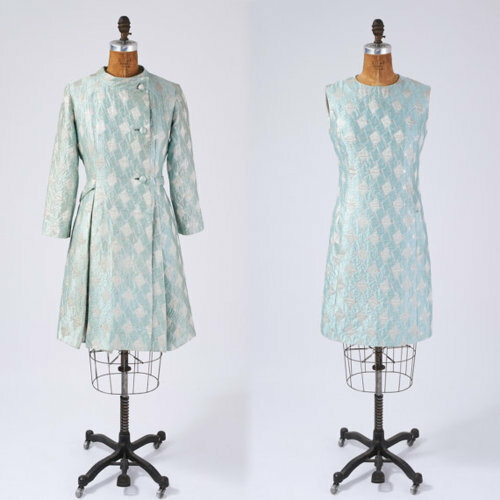 Vintage 1960s mod silver and aqua lurex dress with matching coat from missfarfalla on etsy. $115. 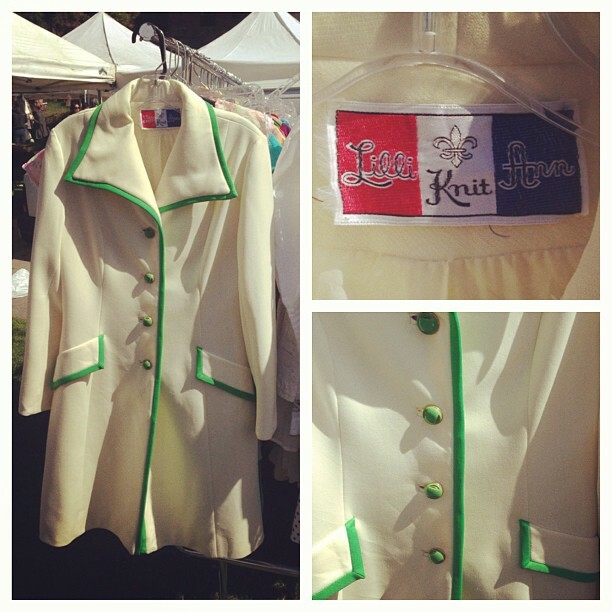 Vintage 1960s Lilli Ann couture label mini dress with matching coat from TimelessVixenVintage. $275. Vintage 1960s pink chiffon beaded party dress with matching sheer jacket from voguevintage on etsy. $140. 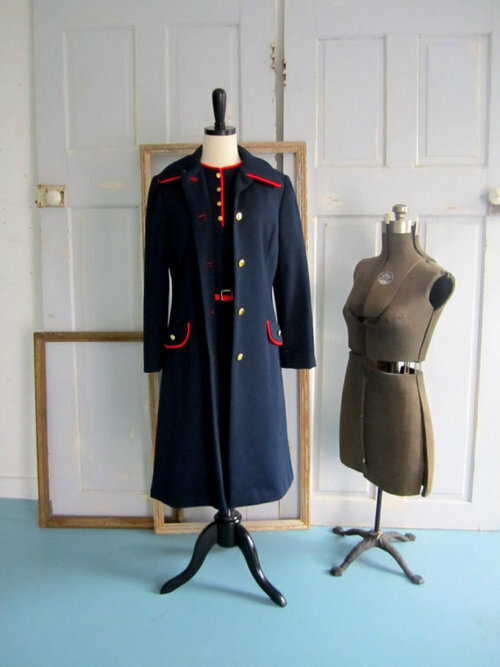 Vintage 1960s navy blue wool dress with red trim and matching coat from SassySisterVintage on etsy. $114. 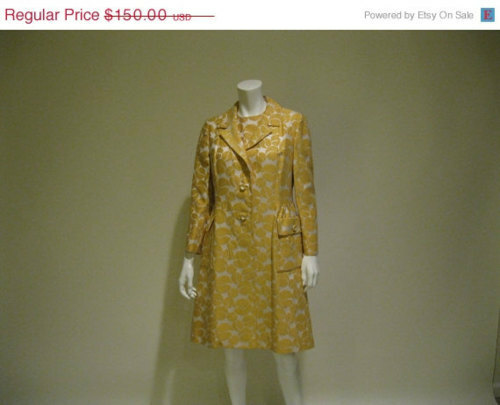 Vintage 1960s embossed cream and gold shift dress with matching coat from ladyscarletts on etsy. $127.50. 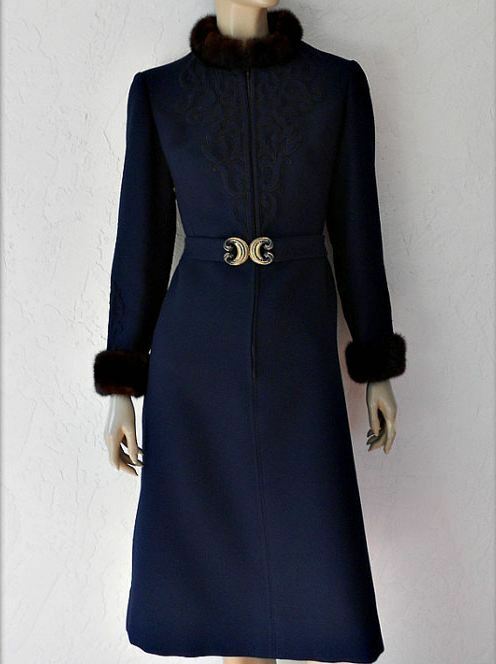 Vintage 1960s a-line wool dress and matching jacket from LeMollusque on etsy. $138. When Sir Richard Branson made his inaugural tourist space flight in 2010, he wore a specially-made Belstaff jacket. 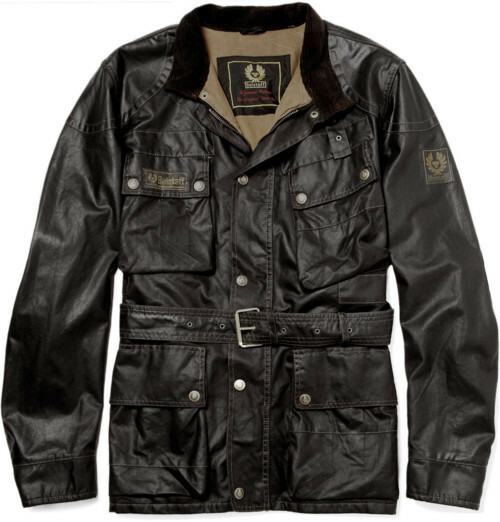 Founded in England in 1924, Belstaff is famed for high-performance jackets, worn by motorcyclists and pilots. One of my favorites is Belstaff’s “Sammy Miller” biker jacket, named after the 1950s motorcycle legend. 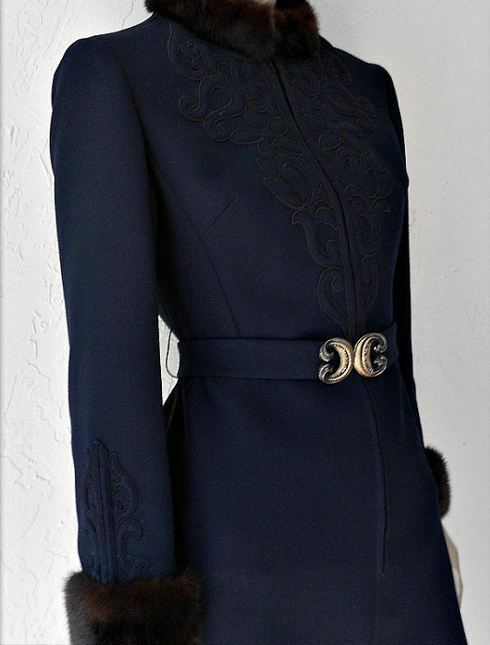 At $1085, the price tag is painful, but this is one of those jackets you will wear until death do you part, most likely diving out of an airplane or in a fiery motorcycle crash. Available on mrporter.com. 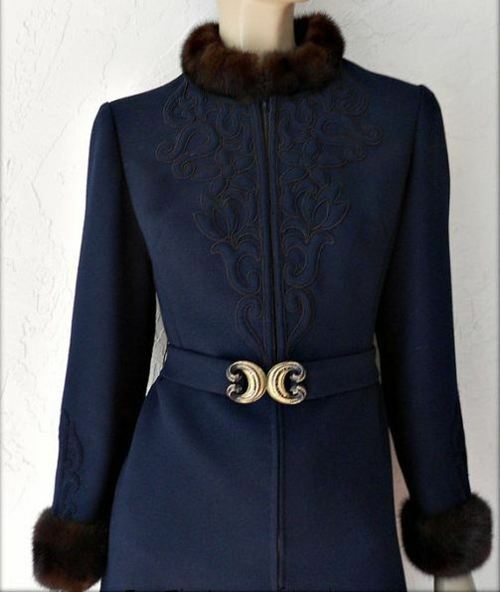 This gorgeous vintage coat with giant faux fox fur collar is only $25 on eBay right now; the auction ends in one hour. 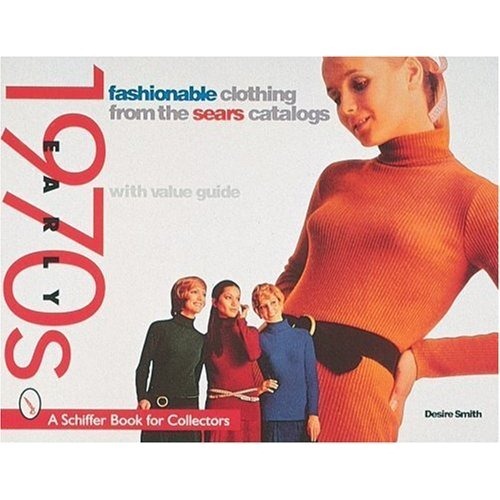 The seller just relisted the item so you have another shot. 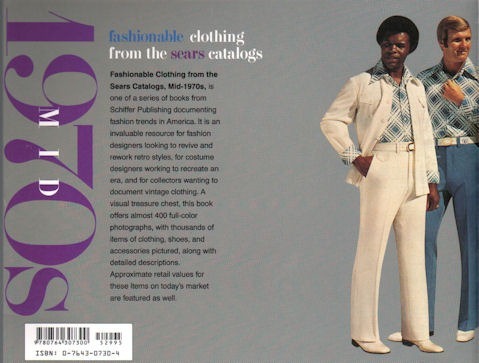 Click on the image below to see the listing. Mrs. Claus is stepping out tonight. 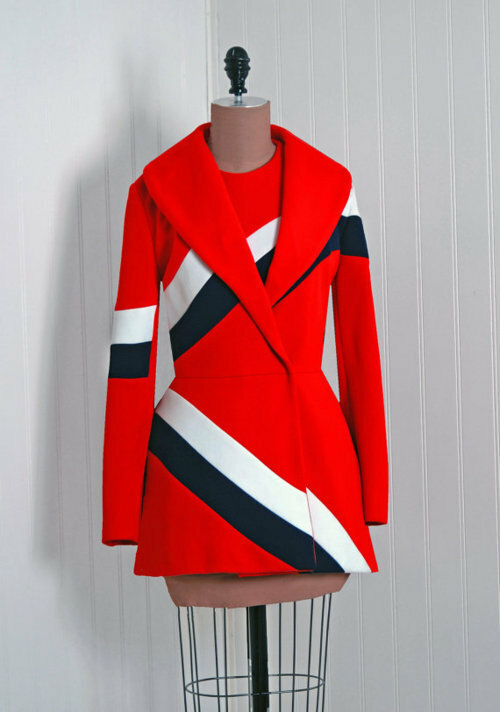 Vintage 1960s bright red wool belted coat with fox fur collar. Current bid on eBay $55. Click on the images below to see the listing.